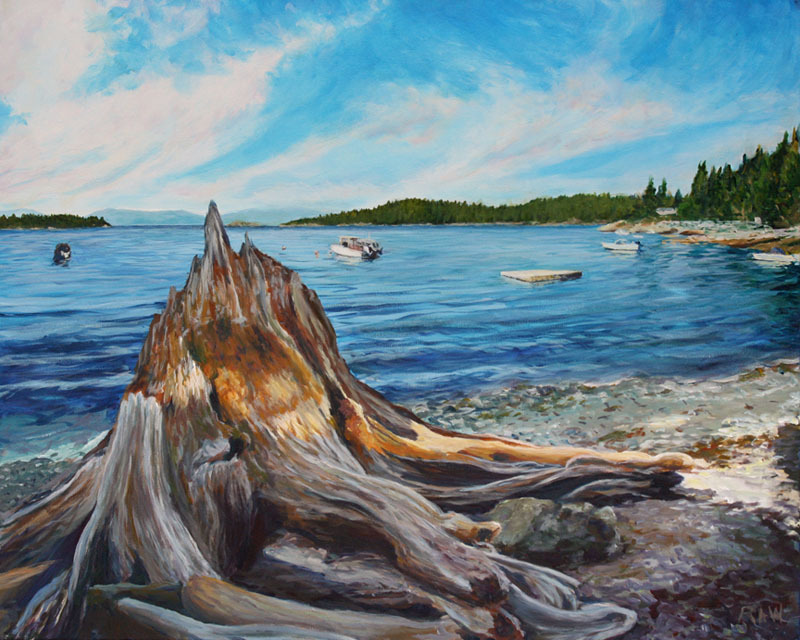 This is a painting I did of the west side of Bowen Island with the morning sun coming in from behind us enriching all the colours. The huge stumps laze about on the beach in all their glory. This one has been on this beach since we arrived here 25 years ago.